When the valley is deep and wide, when the clouds hang low, and when a precious child leaves this life, there seems little reason to smile. For those of us who loved Cameron, his recent passing after a year-long battle with JMML has left us shaking our heads in despair and holding our hearts to keep them from falling from our chests. And yet…there is so much for which to be thankful. A wise friend told me, “When you feel your worst, count your blessings.” I have taken to actually writing them down…or typing them into an email. It seems so much more real to see the list, to be able to actually count each blessing with a fingertip. Today, at the top of my list is Adah Jane. Two years ago today, she entered this world very prematurely, and she weighed only a couple of ounces over one pound. Yes, one pound. So tiny, so frail, so unbelievably vulnerable. A doll friend pointed out that Adah was only slightly larger than a Barbie doll. Wow. That is mind-blowing. Yesterday, we celebrated Adah’s birthday with cupcakes decorated like farm animals, cookies & cream ice cream, cards that sing when opened, and presents galore! Adah twirled about the room in her turquoise jumper and clapped her hands to a Veggie Tales CD. I sat on the couch and watched her and marveled at the hand of God. It all over that child. And it was all over Cameron too. I cannot begin to comprehend why Adah survived and Cameron did not. There is no fairness to it. There is no rationale, no justice, no nothing. It just is. And Cameron is high up on my blessings list too because, quite simply, he made my life better. He brought joy and laughter into my life. He, more than once, caused my jaw to drop at his wisdom and incredibly insightful questions. 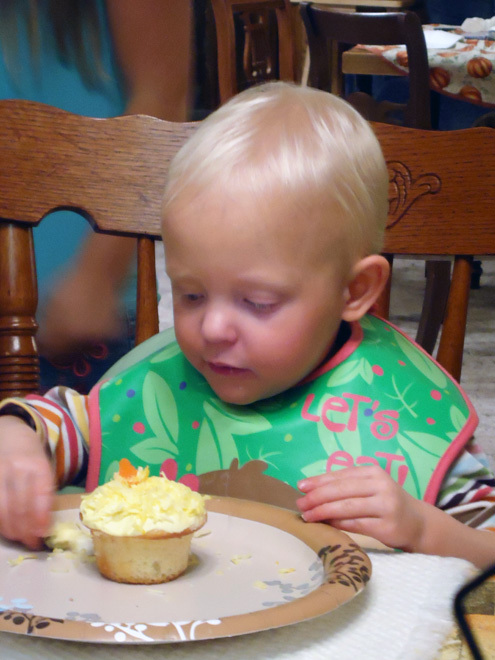 Adah Jane celebrates her 2nd birthday!